Find a vacation home to rent in Bjerkreim Municipality from our list of vacation rental properties. Campaya has over 6 vacation homes available in Bjerkreim Municipality, which give you the possibility to locate a unique accommodation in Bjerkreim Municipality which completes your check-list in search for the perfect self catering vacation apartments in Bjerkreim Municipality or vacation villas in Bjerkreim Municipality. Welcome to this nice holiday home with a great location. The house is situated right down by the lake on a large plot in quiet and undisturbed surroundings. Beautiful and well equipped vacation home with panorama view of mountains, valleys and water. 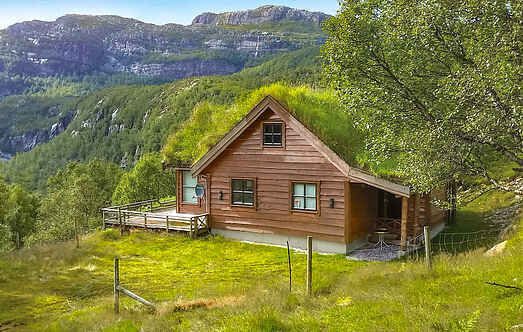 Nice and eventful holiday house whit a great view over moutains, water and the valley. 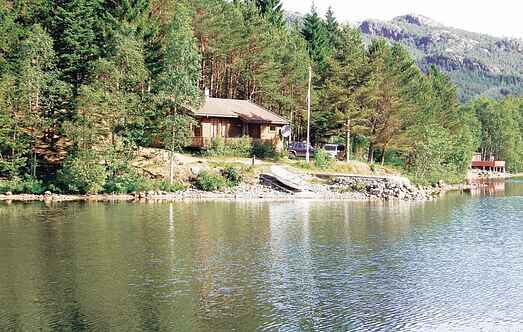 Lovely holiday home right next to Norways best salmon river, Bjerkreimselva. From the house you have a view over the river that offers good swimming oppurtunities. This is a furnished, high standard holiday home with a nice terrace in a scenic and peaceful area. This lovely cottage is situated high on a hill with panoramic views of the valley, lake and mountains.